What’s the secret to success? 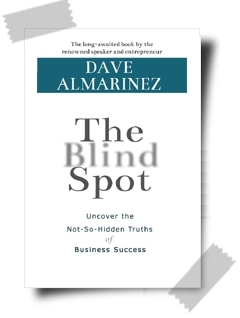 In this book, entrepreneur and philanthropist Dave Almarinez picks apart the myths that once help him back from financial freedom, and introduces actionable exercises and discussion points to help you get past your own “blind spot”. Read on and find our how he was able to overcome his own humble beginnings and start successful businesses that provided for himself, his family, and generated jobs for many.